Research by Gallup and others shows that engaged employees are more productive, more profitable, more customer-focused, safer, and more likely to withstand temptations to leave. The best-performing companies know that an employee engagement improvement strategy linked to the achievement of corporate goals will help them win in the marketplace. The one with clarity navigates the ship. 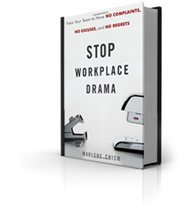 If there’s drama in your workplace, I can guarantee there is someone who understands the situation better than you. It is easy for small businesses to fall into the trap of shooting from the hip or changing the rules to suit your whims. As you grow, however, these freedoms eventually become the bars that bind you. You cannot give your employees any more than 10 percent more workload without increasing resources. However, companies frequently downsize, double the workload, and expect the same amount of productivity. To add to the problem, employees are afraid to tell their bosses that meeting these requirements is impossible for fear that their job might be next to go. So the lie continues, and everyone is frustrated. The nurturing you received during your childhood helped you create a story of who you are—and that story continues to support your abilities or struggles as a leader to this day. In some ways, all of us have looked through a distorted mirror at one point or another. Don’t confuse where you are with who you are. Even if you struggle in your leadership position—if you sometimes come on too strong, weak, opinionated, or decisive—who you are is more powerful than where you are. Why then do we participate in blaming, complaining, backstabbing, and gossiping? We do it to lessen the pain and discomfort that taking responsibility requires of us. 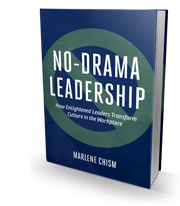 Criticizing them and finding allies in your negativity makes you right about how they are; however, it prevents you from opening to the possibility of transformational change through leadership. You can’t be an irresponsible boss and somehow manage to garner responsible behavior from your staff. Never let employees come to you tattling about other employees while requesting you keep it a secret. When Jane comes to you and says, “Charles is unhappy about the schedule and I thought you should know,” your response should be to tell Jane that Charles needs to come to you himself. Then invite Jane to fetch Charles. This will stop the game playing. To minimize victim behavior, ask for what you want instead of complaining about what you don’t want. Your productivity will drastically increase and you won’t spend your time putting out fires. Set some time aside to listen to the conversations going on in your workplace. Chances are, you will notice that a lot of the time is being wasted complaining or revisiting the past. You will hear comments about who is wrong, why something won’t work, why something is the way it is, or how it has always been. This is Victim language.